Who follows this blog for some months now has probably concluded that I am quite interested in dressage. It’s the harmony, the elegance and the need for balance and precision that makes it appear so charming to me. 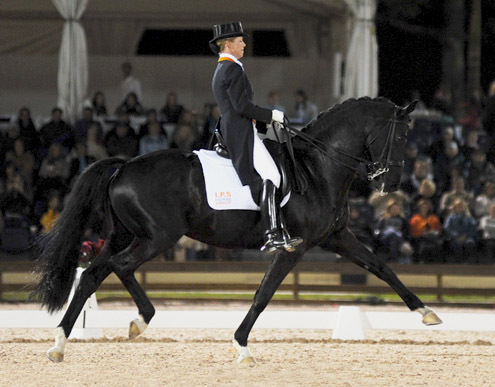 Today I would like to show you a BBC video about composing music for freestyle dressage shows. Victor Kerkhof, who composes music for equestrianism meets BBC reporters to show the BBC audience and equestrianism lovers how he makes music for the performances of the well-known dressage rider Anky van Grunsven. Impressive!